In the aftermath of devastating hurricanes in Texas, Florida and Puerto Rico, communities across the U.S. are rethinking ways to control flooding and reduce hazards that could be worsened by urbanization and climate change. Writing such plans is a complex, politically challenging process, but one city in Oklahoma has emerged as a national model for creating a flood-control program that works. 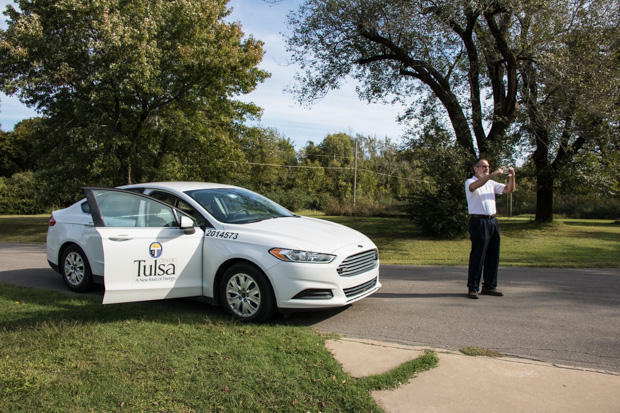 Bill Robison pulls over and parks his city-issued car on a tree-lined street in east Tulsa. 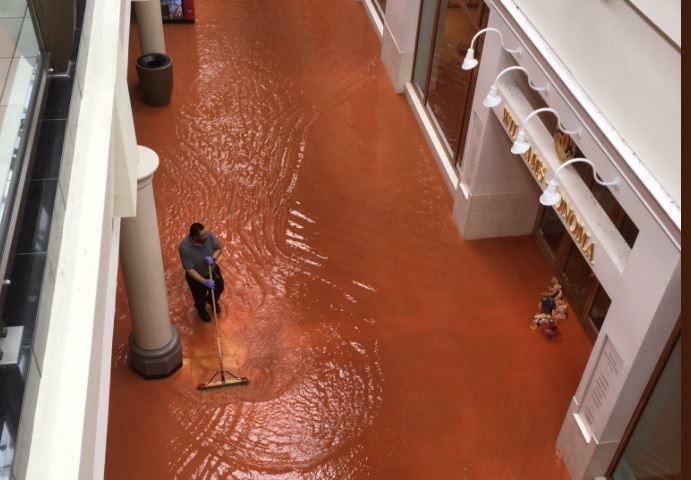 Oklahoma City’s Penn Square Mall is open normal business hours Wednesday. 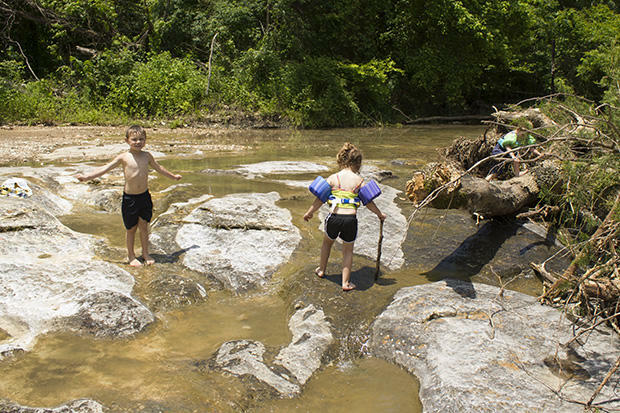 Oil and gas are endangering the Oklahoma’s streams, soil and wetlands. Not by polluting them, but because plummeting oil prices have blown a billion-dollar hole in the state’s budget. Funding cuts at agencies that manage Oklahoma’s natural resources could threaten the state’s beauty, as well as people’s lives and property, officials say. This spring, Oklahoma faced a problem it hadn’t in a while: too much water. 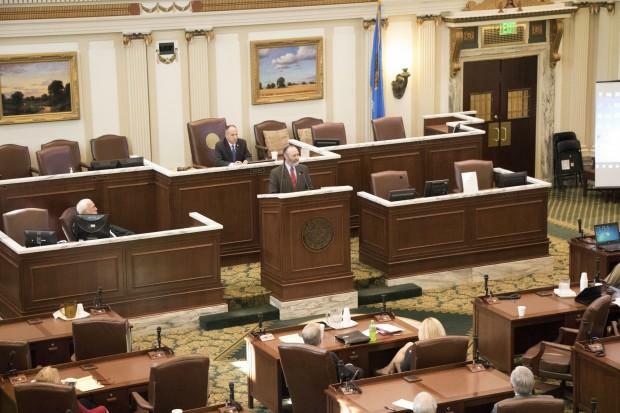 Much of that floodwater flowed into rivers and out of Oklahoma — and that’s sparking big new ideas at the state capitol, and rousing an old fight. Two and a half million tons of wheat, fertilizer, steel, and manufacturing goods pass through the Port of Catoosa each year. But not in 2015. The nation’s most inland seaport, located near Tulsa, shut down after historic spring rains and is still struggling to rebound. Update May 25, 10 a.m. The Oklahoma Red Cross closed the Oklahoma City shelter Monday morning, but the other shelters listed below remain open. Update 2:30 p.m. Heartline and the Oklahoma Red Cross are offering assistance for people affected by the storms and flooding throughout Oklahoma. Call HeartLine 2-1-1 for resource information like temporary shelters and agencies taking displaced pets. Heartline also has a web page with resource information. Residents of Oklahoma City can also call 2-1-1 to register the damage so officials can make damage assessments. Below is an updated list of Red Cross shelters opened in Oklahoma for those affected by flooding. 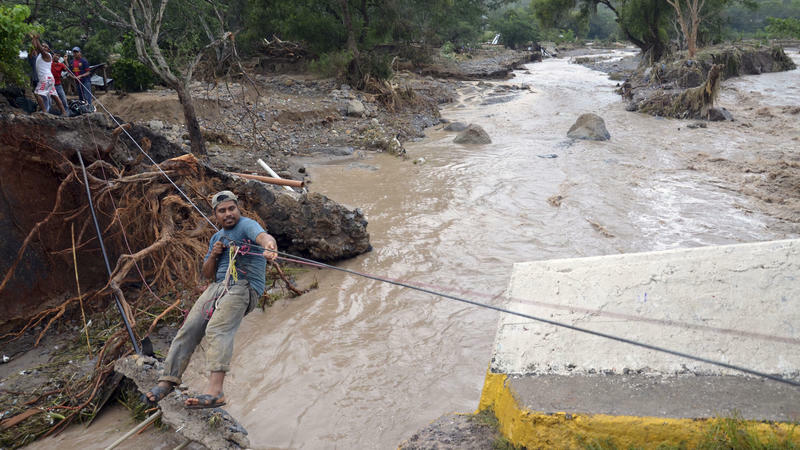 "Nature finally cooperates as Colorado floodwaters begin to recede"
"As heavy rains brought wide ranging flood conditions across the state Thursday, the Front Range is bracing for more Friday," our colleagues at Northern Colorado's KUNC report. 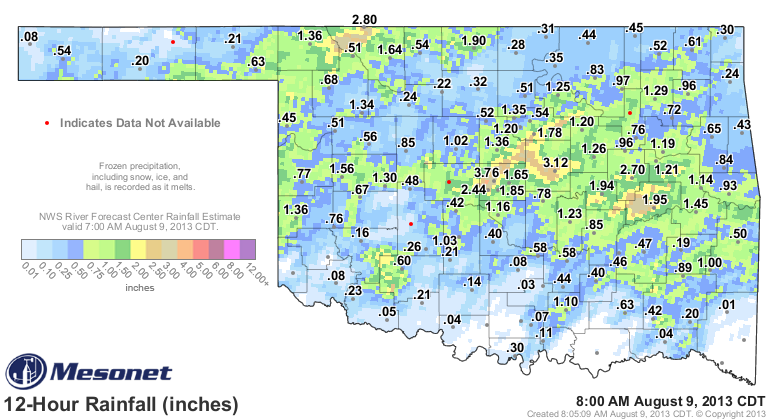 Severe thunderstorms moved through central Oklahoma Thursday night causing flooding and power outages across the area. 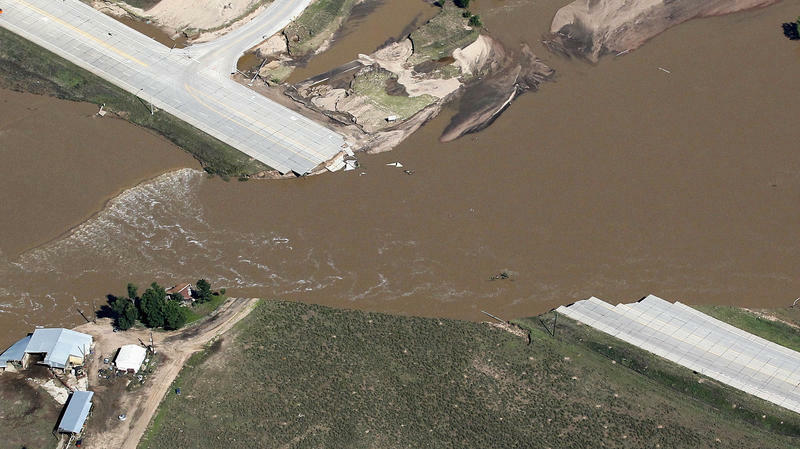 Oklahoma City police say a 60-year-old man drowned while trying to rescue a relative who was stranded by floodwaters. Police say the man was swept into a drainage canal and drowned early Friday in northwest Oklahoma City. Police say the relative, who was stranded in a car, escaped without injury. That incident happened near NW 122nd and Pennsylvania. 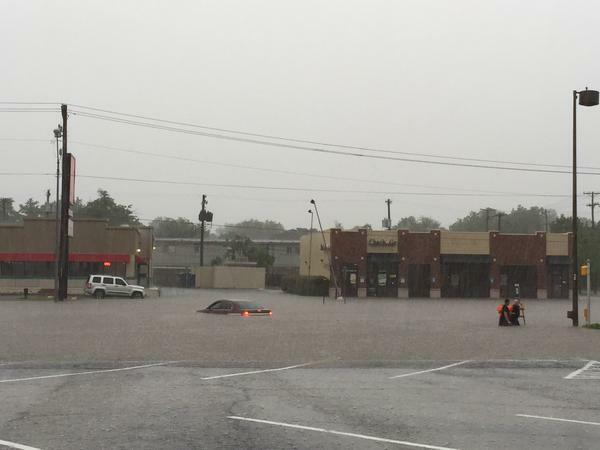 Police reported water over the roadway there with three stalled cars in the intersection. Authorities are using a boat, raft and Humvee to evacuate residents of a mobile home park in Crutcho. The Oklahoma County Sheriff's offices says they are also searching for missing man from the area whose vehicle was found washed off the road near E. Hefner Rd. and N. Dobbs. The man left for work at 6:30 a.m. Friday and has not been heard from since, according the sheriff's office. 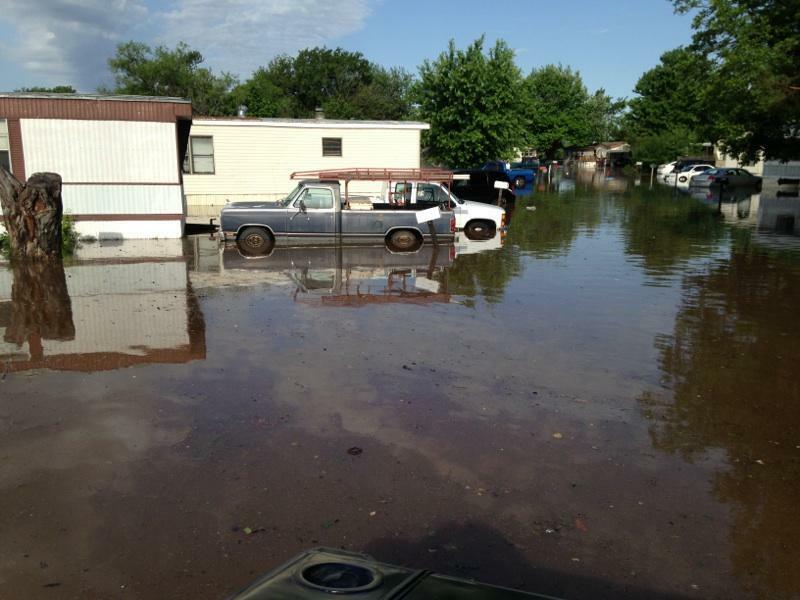 Images from the mobile home park near NE 23rd and Air Depot show flood waters halfway up the doors of parked cars. 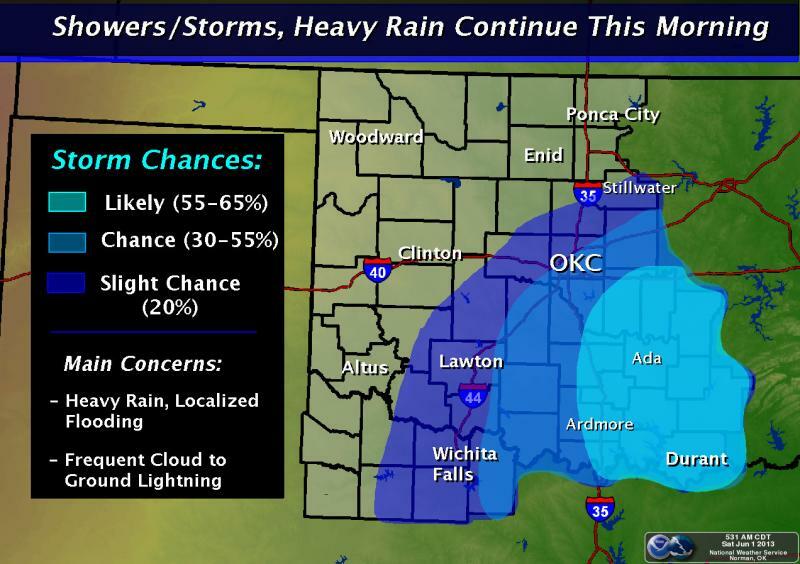 Authorities in the Oklahoma City metro are discouraging travel Saturday morning due to flooding across the area. The Oklahoma County Sheriff's Office reports flooding on NE 23rd Street Hiawassee and Choctaw Rd. and other areas in Choctaw. Multiple roads in Deer Creek are also impassable from high water. 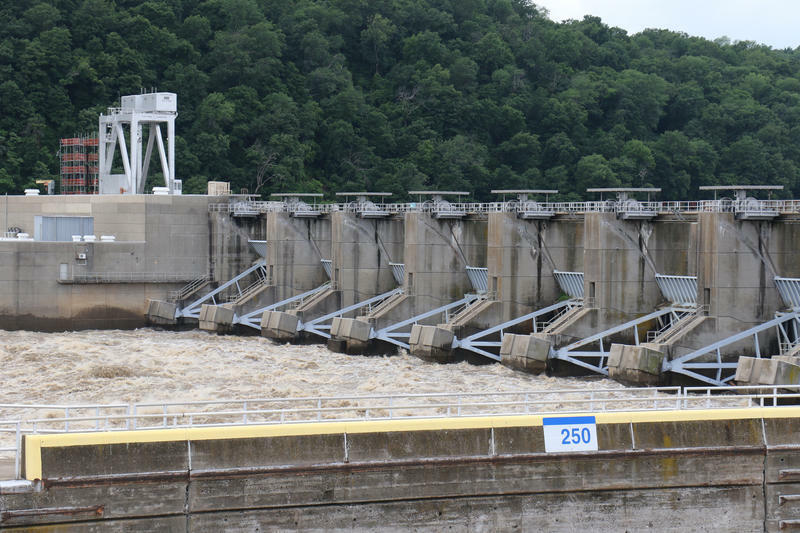 Overnight, deputies report assisting with 10 water rescues. The sheriff's office has also called in additional workers to help with traffic and road closures. A band of thunderstorms is battering the Oklahoma City area and slowing cleanup operations in the southern suburb where a tornado killed 24 people and destroyed thousands of homes earlier this week. The National Weather Service said Thursday that the storms are producing hail, heavy rain and high winds. A flash flood warning is also in effect for some areas. The Weather Service says more severe storms are forecast for late afternoon and at night. It says tornados are a possibility.